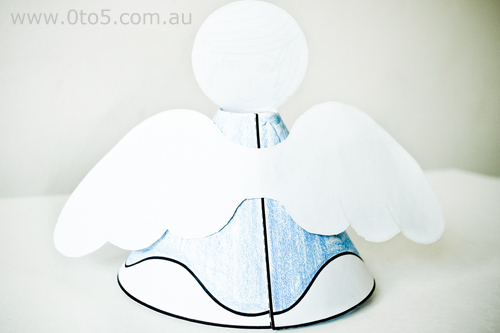 Children can have fun colouring, cutting and putting together this angel. You could make one angel for the top of the tree, or several angels as Christmas decorations. Paints, crayon or pencil to colour. Print out the angel template. Colour or decorate as you wish. Cut out the angel and wings around the outer edge. Cut along the solid line around head of the angel. Be sure not to cut the bottom part attached to the body. Put a line of glue to the right of the dashed line. 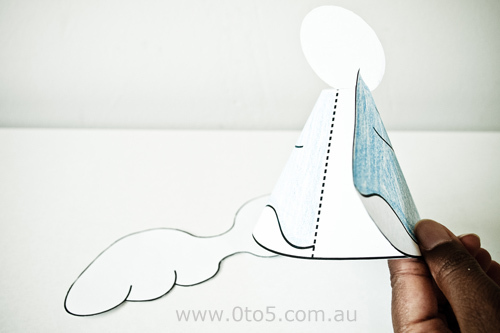 Overlap the body from right to left so that the solid line meets the dashed line and glue. 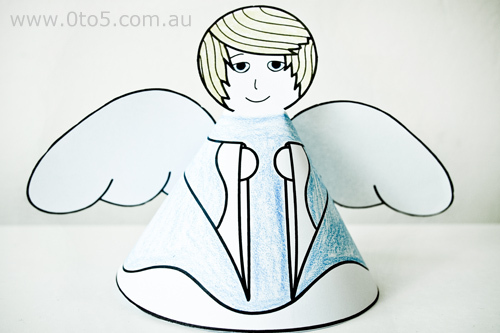 Fold the head of angel towards the front and stand the angel up. 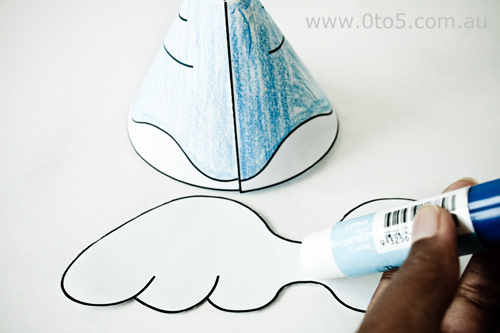 Glue the center of the wings to the upper center of the angel’s back. Fold the wings backwards slightly.